DBModeler.app is based loosely on EOModeller.app and is used to create EOModels -- definitions of mappings between the tables, columns and rows of a relational database to objects within a GNUstep program that uses GDL2 (GNUstep's EOF implementation). Existing EOModels may be opened and modified, new ones may be created manually, or even "reverse-engineered" from an existing database if DBModeler is able to connect to an existing database. 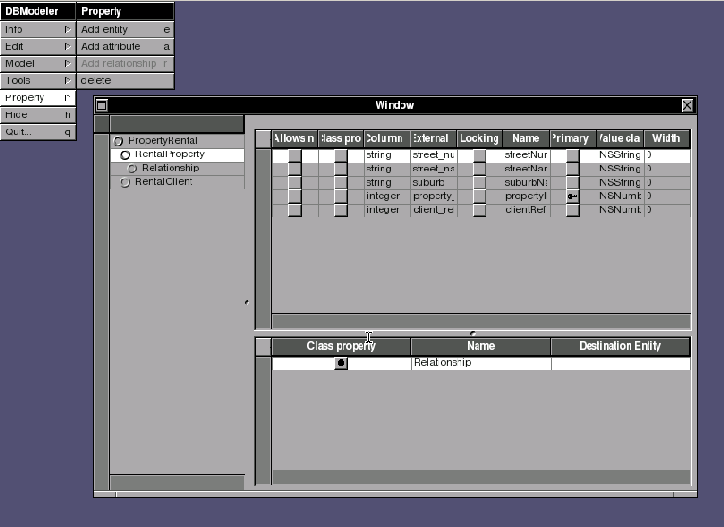 The resulting EOModels can be used to allow simple database connectivity in GNUstep applications, tools, or within GNUstep Web applications without significant additional coding effort. This page was last modified 16:51, 28 January 2009. This page has been accessed 36,943 times.